Whatever you put on your plate at this time of year, there is maybe one thing we can all agree on about Christmas: 'tis the season for having eyes bigger than your stomach. Whether you're submitting after your second helping or tapping out as the pudding's brought to the table, we all reach our limits and end up with a surplus of leftovers, tiding us over until the last round of Auld Lang Syne has ended. And however good your Christmas dinner was, no matter how many sprouts you wolfed down or slivers of turkey that were savoured, there's some kind of hidden alchemy that seems to happen during their time in the fridge that makes leftovers just taste, well, better. From makeshift meals to properly repurposed grub, who can resist the lure of leftover Crimbo food curled up on the couch, all lovely and warm, with your family and a classic Christmas special on the TV as company? Maybe it's psychological or perhaps there's some science that can explain why we love leftovers so much; either way, we'll attempt to answer why things taste better after a day or two. Plus, there'll be some recipes thrown in for good measure, so you can make the most of your mounds of extra food during the yuletide period. Even devotees of cold pizza, that most fabled and treasured of day-after treats, will likely struggle to answer why leftovers taste better. And while we're not one to argue against the plus points of morning pizza, we're looking to add more to the argument than just folk beliefs. However, before we ›ground the theory in hard fact, it's still worth casting a glance at the mythos surrounding the optimised, fuller-flavoured taste of leftovers. For a start, you'd be forgiven for thinking that food tastes best when it's at its freshest. However, for those who swear by having seconds a day or two later, every flavour, whether it's spice, salt, or sweet is improved markedly. Overnight, seasonings, sauces and essences increase in potency, redoubling what made them great the first time around, and making them even better. And the yuletide fare that's been stored in your fridge undergoes the same culinary transformation. Roast potatoes become more robust; the crispy outer housing even fluffier goodness inside, pigs in blankets take their saltiness to another level, while slices of turkey, act as a foundation, a new canvas on which to create all manner of masterpieces during the festive season. 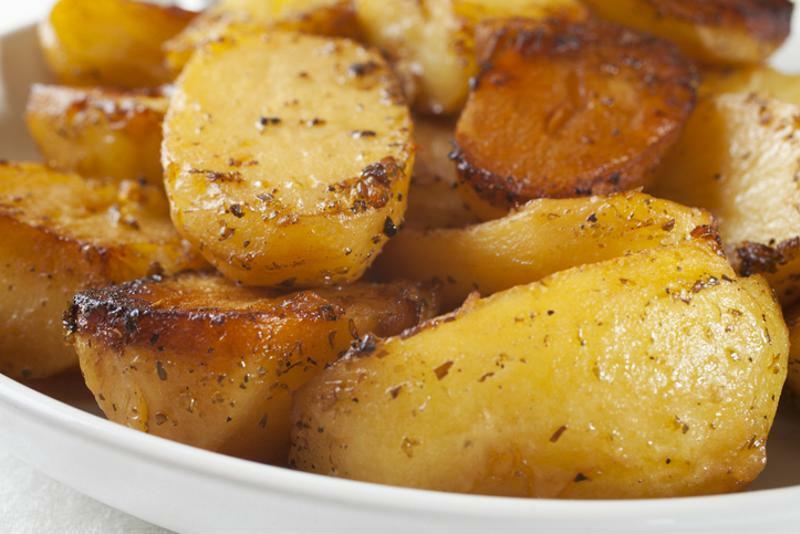 After some time in the fridge, roasted potatoes become more robust. But beyond opinion, is there actual scientific fact as to why leftovers taste better? Well, yes, there is actually. Even after cooking, food continues to undergo chemical reactions, improving the flavours of certain things overnight. Soups and stews made with cream or milk in them have their lactose broken down into glucose, and taste sweeter as a result. The proteins in meat change into individual amino acids, enhancing the flavour markedly, while the starches in things like flour and potatoes turn into compounds that seemingly hold more flavour. The processes undergoing both starches and meat are fairly similar during refrigeration. With meat, the collagen and tendons that have melted during the cooking process begin to gel around the chunks of meat, creating all those lovely juices and trapping the flavour compounds in the gel. Likewise for starches, where it gelatinises when cooked. Upon cooling, they go through a process called retrogradation: a rearrangement of molecules that turns the cooked amorphous starch back into a crystalline structure, allowing flavour compounds to infiltrate the starch and infuse even more tasty goodness inside. Aromatics like garlic, ginger and chilli become more powerful too, undergoing a larger amount of reactions that produce flavour and aroma compounds which in turn react with the aforementioned alterations of proteins and starches. 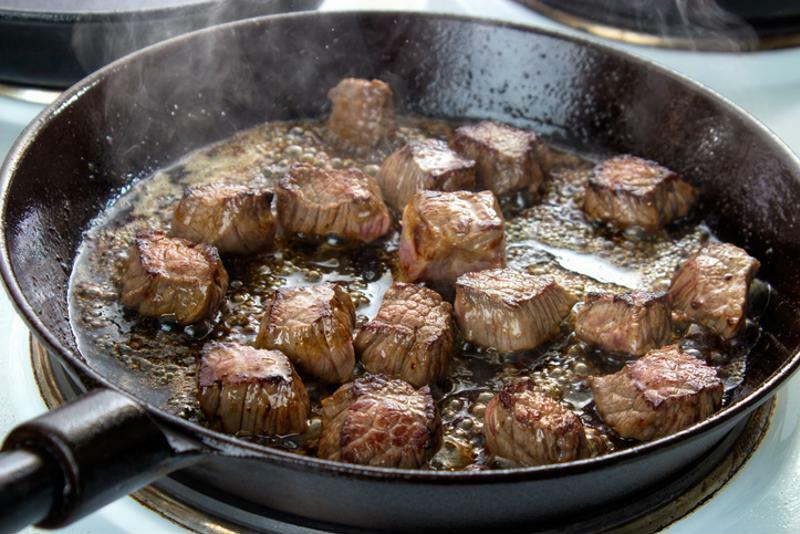 The reaction of certain foods, such as when you brown meat, is known as the Maillard reaction. This occurs when the sugar, or the carbon molecules, in the protein react with the amino acids to produce around 24 reactions, including polymerisation, colour change and production of flavour compounds. Caramelisation also occurs, an entirely separate reaction that enhances both colour and flavour. It's true - leftovers do taste better. What to do with your turkey? Turkey isn't exactly in short supply during this time of the year, but if there was a hierarchy of leftovers, the bird usually tends to rank near the bottom. However, the truckload of turkey actually gifts you with a golden opportunity. To stop the turkey breast from drying out, layer warm slices of the meat in a warm broth in containers and pop them in the fridge. The breast will act as a sponge, trapping the liquid inside and become plumper and moister when reheated. The result is a deliciously flavoursome and succulent version of the bird that puts paid to those dry leftover sandwiches you'll be used to working through on Boxing Day. If you have a mountain of festive treats taking up valuable fridge space, we've a few delicious recipes for you to try out. Let's lean into the leftover recipes with something that's not a million miles from a turkey sandwich. An American classic with a Christmas twist, these delicious bites are somewhere between a burger and a sandwich, fusing delicious, flavoursome turkey meat with plenty of crunchy veg. And with turkey gravy on the side to dip into, who could resist? 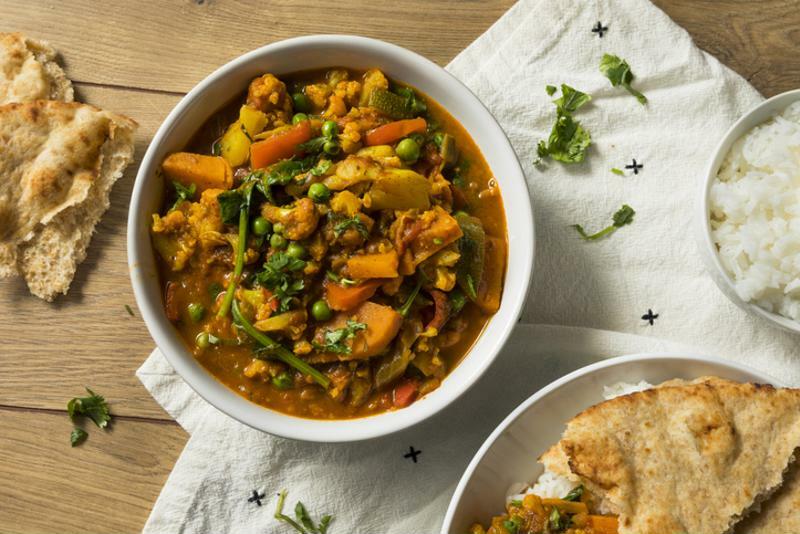 Put your spare sprouts, carrots and potatoes to good use with this robust Indian curry. It's not exactly Christmas-y, but the combination of mustard seeds, cardamom, star anise and curry leaves definitely add something new to the menu this time of year. Coconut milk adds a delicious creaminess that's rarely tasted during the festive period too. Not exactly Christmas-y, but still very delicious! Looking for something that needs no effort at all? Give this Ribollita a try. A Tuscan bread soup that's tailor-made for leftovers (it literally means re-boiled), it's a great way of re-using up your surplus ham and bread, and is just a case of throwing everything into a pan. Heat for 10 minutes and dig into this hearty soup, a great way to keep yourself warm. After all the mince pies, Christmas pudding and other decadent treats you've scoffed, you'll probably be planning your detox soon. Don't wait until the new year to start, this steamy turkey broth makes a refreshing change, with plenty of powerful aromatics to reboot the system with. Plus, it has enough protein to power you through another viewing of The Great Escape. 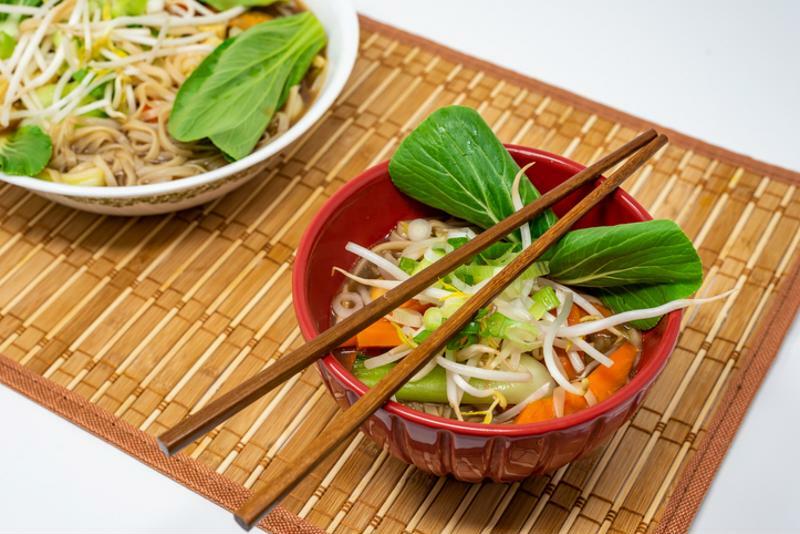 Turkey ramen packs plenty of protein. If you're planning a dinner party for New Year's Eve, then these superb little croquettes are an excellent alternative to store-bought nibbles. Plus, who doesn't have an inordinate amount of leftover blue cheese at Crimbo? A guaranteed crowd pleaser. Sometimes there just aren’t enough hours in the day. And it’s at times like that when you’ll be glad you’ve got a delicious meal waiting for you in the freezer. Meal prepping is becoming increasingly popular for people with busy schedules, families run off their feet, and those who want to make sure they stay on track with their healthy eating. It saves time and means there’s one less thing to worry about.